EVGA has introduced a new GeForce GTX 1080 Ti graphics card to its extensive range. 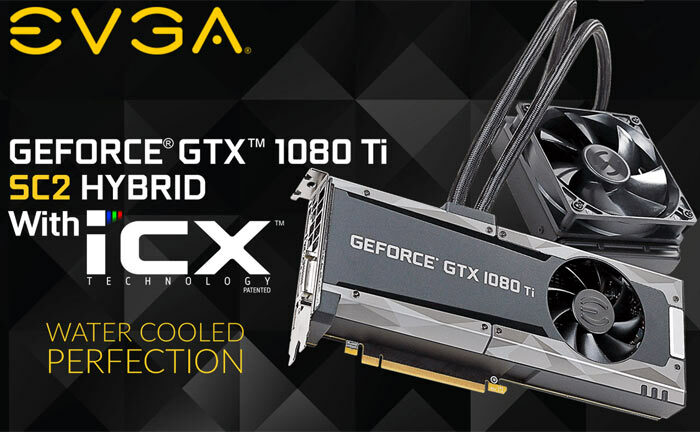 The new EVGA GeForce GTX 1080 Ti SC2 Gaming Hybrid with iCX Technology provides what you would expect; direct liquid cooling of the GPU, plus heatsink/fan cooling for the memory and VRM, with an array of thermal sensors and MCUs (iCX) for fine tuning the OC and cooling. It is claimed that the combination of iCX and Hybrid water cooling "gives you unbelievable GPU temperatures, sometimes cutting your GPU load temperatures in half". The liquid cooling block is accompanied by a 120mm radiator and fan. 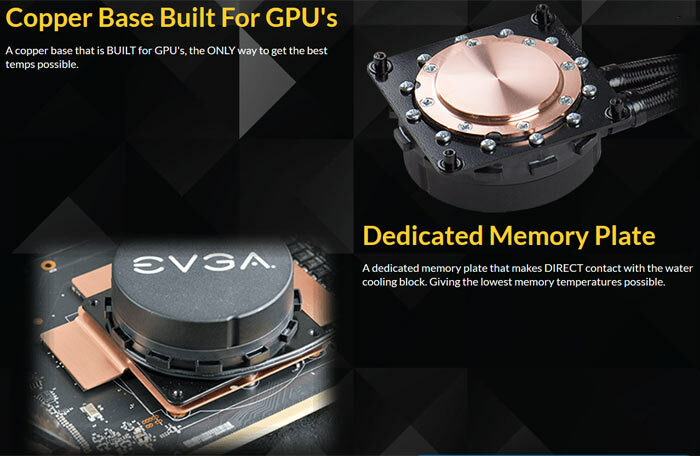 EVGA's dedicated memory cooling plate that makes direct contact with the cooling block plus dedicated heatsink / fan for the VRMs also help users squeeze every bit of performance from this card. Running behind the scenes EVGA's iCX technology facilitates extensive monitoring and 'full control' using the EVGA Precision XOC software. Out of the box the EVGA GeForce GTX 1080 Ti SC2 Gaming Hybrid GPU with 3,584 CUDA Cores runs at a Base Clock of 1,556MHz and Boost Clock of 1,670MHz. 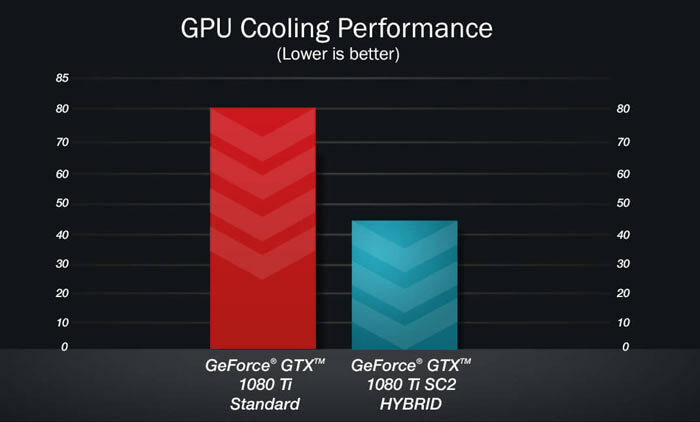 (A reference edition GTX 1080 Ti GPU runs at a Base Clock of 1,480MHz and Boost Clock of 1,582MHz.) 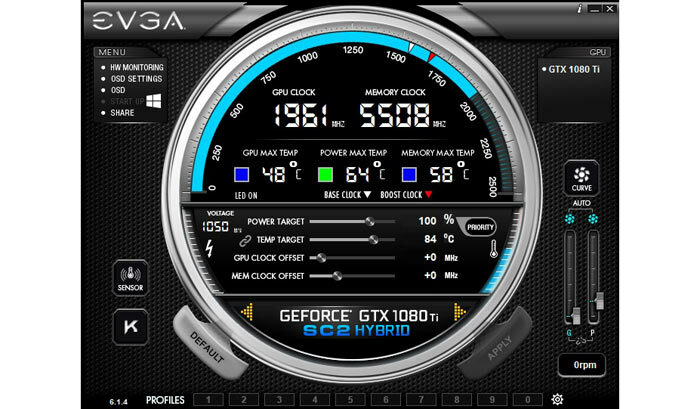 The 11,264MB of GDDR5X memory on the EVGA GeForce GTX 1080 Ti SC2 Gaming Hybrid iCX is clocked at 11,016MHz providing 484GB/s of bandwidth. Full tech specs are tabulated below. Scan Computers has the card listed on pre-order for £820 right now. Erm. Yeah. But Celcius is not a linear measurement of temperature or energy state, so it cannot be ‘halved’ by taking 0 as the baseline.